To combine experiment and modeling to develop the chemistry and structure motifs needed to create hierarchical materials that effectively immobilize nuclear waste in persistent architectures. This Energy Frontier Research Center (EFRC) is organized to develop the basic science necessary from which new, hierarchical waste forms can emerge. The center will combine experiment, and characterization and modeling to develop and validate chemistry and structure motifs that can lead to materials that effectively immobilize nuclear waste elements. New hierarchical structures will be developed via a bottom–up synthetic approach supported by advances in characterization and modeling, where new chemical insights will provide critical understanding of fundamental mechanisms of complexation and speciation for these novel structures. 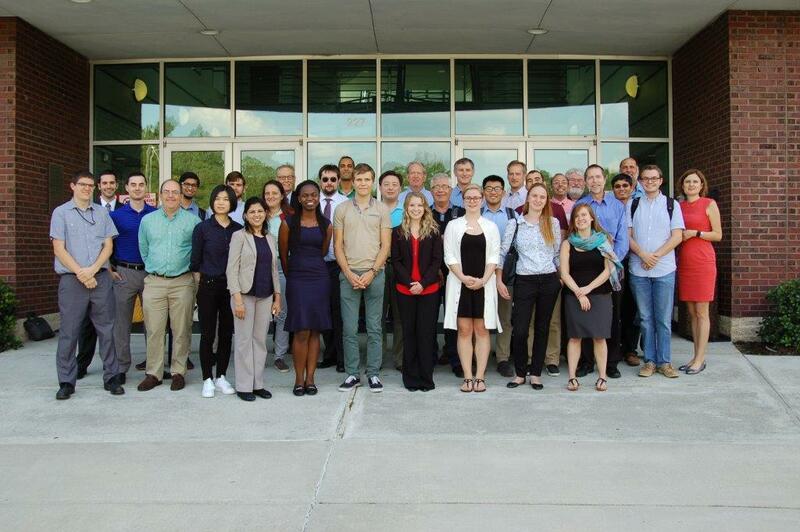 CHWM members toured the Savannah River National Laboratory in September 2017.